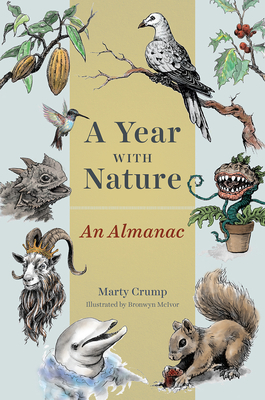 Marty Crump is currently an adjunct professor of biology at Utah State and Northern Arizona Universities. She has been a herpetologist for more than forty-five years, working with tropical amphibians in the areas of parental care, reproduction, territoriality, cannibalism, and tadpole ecology. Her work has drawn attention to the issue of declining amphibian populations. In addition to her popular science writing, she is the author of the recent award-winning children’s book, The Mystery of Darwin’s Frog. She lives in Logan, UT. — Tristan Gooley, author of "The Natural Navigator," "How to Read Water," "The Lost Art of Reading Nature’s Signs," and "Wild Signs and Star Paths"
— Harry W. Greene, Cornell University, author of "Tracks and Shadows: Field Biology as Art"